Today’s businesses understand that high-resistance burglary protection for valuables is crucial to maintaining an organization’s operations and continuity. This is especially true for the risk sites such as banking, retail, logistic, pharmaceutical or industry sectors, as large amounts of cash, valuable or sensitive items are often kept on premise. To effectively manage this risk, businesses are increasingly choosing on-site vault rooms, which involve storing high-value items in a separate, walled-off area in existing buildings. But space limitations and security requirements vary enormously: in most cases, a one-size-fits-all approach is insufficient in meeting specific needs. 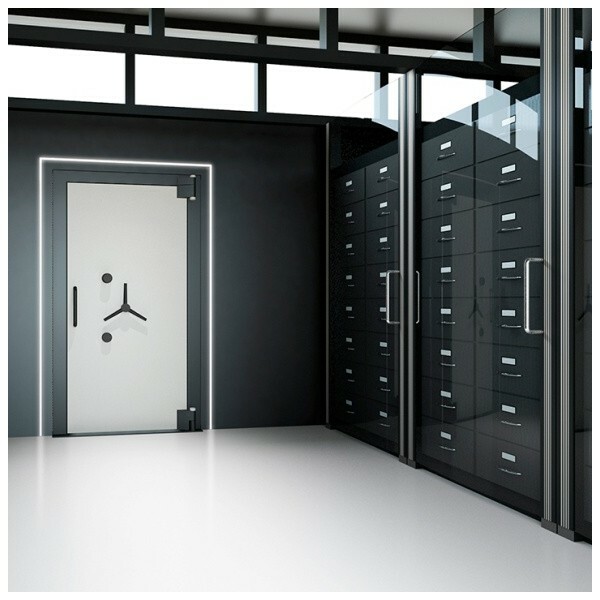 The Centurion range of vaults and vault doors from Chubbsafes provides EN 1143-1 burglary protection for Grades V to XI. This standard includes attacks from a variety of tools, such as crowbars, high-powered disc cutters and oxyacetylene torches. Grades X to XI have been certified for resistance against powerful diamond-core drill bits (CD classification). In addition, Centurion provides fire properties tested by MPA DRESDEN GmbH, a German independent laboratory. Innovative, lightweight panels that do not require welding or adjusting for faster and easier installation and mounting. Reduced wall thickness to maximize available space. Innovative, VdS-approved ventilation system for optimum climate control. Panels fitted with an upper and lower cable duct. A range of reinforced configurations available for additional protection including a bolted version. Interior finished with primed surface.